Ezekiel Alfred Coker, MR, JP, BEM, etc. Retired Senior Asst. Commissioner of Police of the Sierra Leone Police Force. He acted as Commissioner of Police, Honourable Member of Parliament and Cabinet Minister from October 1978 to January 1980. The death is reported of Ezekiel Alfred Coker, retired Senior Assistant Commissioner of the Sierra Leone Police Force in Durham on October, 31, 2018. He was 92 years of age. He is survived by his devoted wife Edna whom he married on February 9, 1956. Children, Roland (Pam), Sarah, Gloria (Ivor), Edna, Frederica, in America, Georgiana (Valentino) in Italy, Alfred in Freetown; fifteen grandchildren and 4 great grandchildren. Other relatives include the Cokers, Johnson, Mac-Johnson of Freetown, Mrs. Darlyn Garber and family, Dorcas Johnson and family of London, Di Stefanos in Italy, John Family of Philadelphia, Johnson Family of New York, Taylor, Henietta Randall, Deigh, Jarrett & Mitchell Families in Raleigh, Durham and Garner, & KDU NC family, and a host of other family and friends. He was born on the 11th October 1926 at Freetown, Sierra Leone, West Africa and he grew up at Gloucester Village a hilly village about three miles from Freetown under the tutelage of his grandfather, grandmother and my mother up to 1951. He obtained his early education from 1932 to 1934 at the Gloucester Infant School in the village. Then from January 1935 to December 1940 he attended the Regent Amalgamated Primary School about one mile from Gloucester Village. From January to December 1941, he attended St. Edward’s Primary School which was then situated at Howe Street, Freetown about three miles from Gloucester Village. He and other pupils would walk bare feet along the hilly road between the village and Freetown to attend school and then on the return journey. From January 1942 to December 1945 he attended St. Edward’s Secondary School also at Howe Street, Freetown and graduated with the Cambridge Senior School Certificate. When he was young, he was radical in his views. He was an adherent of the Labour Party in Britain. He joined the People’s Party founded by the radical Anglican priest the Rev. E. N. Jones in the fifties. (Incidentally it was the same priest who baptized him at the Holy Trinity Church in Freetown in 1927). He later became a member of the Sierra Leone People’s Party (which was a merger of the People’s Party and the Sierra Leone Organization. Being an energetic member, he was appointed secretary of the Sierra Leone People’s Party for Freetown Central. A few years later he became disillusioned with the insincerity of politicians and so quitted the party. 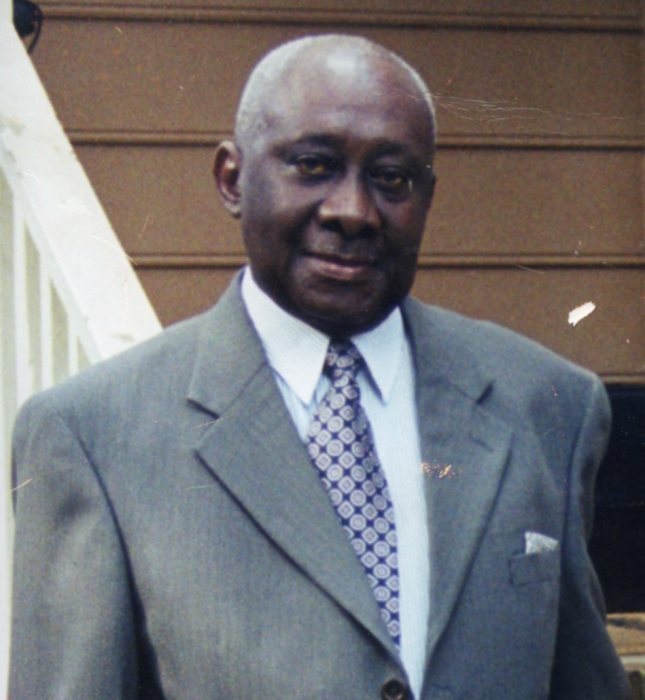 After his graduation, he was appointed an assistant teacher first at St. Edward’s Primary School from January 1946 to December 1946 and then at Cathedral Boys’ Primary School, Freetown from January 1947 to May 1947. In May 1947 he joined the Customs Department (which was then known as His Majesty’s Customs) as a probationary Customs Officer. He progressed to being promoted Second Class Customs Officer in 1955 and was also appointed Chief Clerk in the Customs Department. Sub-Inspector (Chief Clerk). He rose through various ranks of the Police Force from Sub-Inspector up to that of Senior Assistant Commissioner of Police, the third in the senior hierarchy of the Sierra Leone Police Force at that time. In 1977 he was transferred to Police Headquarters as Senior Assistant Commissioner of Police )Operations). In that position he was third in the hierarchy of the Sierra Leone Police Force. He acted as Deputy Commissioner of Police of the Sierra Leone Police Force from 1977 to 1978. On 2nd October 1978 he was suddenly appointed acting Commissioner of Police. On 14th November he was also appointed Honourable Member of Parliament as well as Cabinet Minister in accordance with certain provisions in the constitution in Sierra Leone then. During his service in the Police Force, he served as Chief Police Officer, Harbour Division, Chief Police Officer, Kono Division and Principal Immigration Officer. He also served for a considerable number of years in the Special Branch (i.e. the Sierra Leone Police Intelligence Service) and eventually became Head of that Section of the Police Force. He retired from the Sierra Leone Police Force in May 1981. The following were the national honours and awards which he received during his loyal, faithful and dedicated service to his country and to the Sierra Leone Police Force. April 1961 - Awarded the Sierra Leone Independence Medal for serving in the S/Leone Police Force during its attainment of Independence on April 27, 1961. 1st January 1968 - Awarded the British Empire Medal (BEM) for meritorious service in the Sierra Leone Police Force. 1974 - Awarded the Sierra Leone Police Medal for dedicated service in the Sierra Leone Police Force. 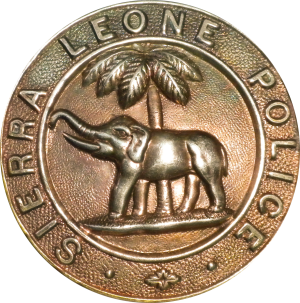 1978 - Awarded the Serra Leone Republic Medal for serving in the Sierra Leone Police Force during Sierra Leone’s attainment of Republican status. 1st May 1981 - Retired from the Sierra Leone Police Force. 23rd Nov. 1988 - Appointed by H.E. the President, Major-General Joseph Saidu Momoh as Justice of the Peace (JP) for the Western Area of Sierra Leone. He was one of the founders of the SIERRA LEONE EX-SENIOR POLICE OFFICERS’ ASSOCIATION. On the foundation of this Association, he was originally appointed Treasurer. Later on he was appointed Secretary after which he was appointed Vice Chairman. This Association also formed a commercial security company which was called the VETERAN SECURITY SERVICES. He played a major role in the establishment of this security company. A few months after he was born he was baptized at the Holy Trinity Anglican Church, Kissy Road, Freetown, Sierra Leone in January 1927. Since he grew up at Gloucester Village, Sierra Leone, he was a member of the Anglican church St. Andrew’s Parish in the village where he later became a chorister. In 1941, when he was attending St. Edward’s Primary School in Freetown he became converted to the Catholic religion and joined the Sacred Heart Cathedral in Freetown. He was a Member of Parish Council of Sacred Heart Catholic Cathedral, Freetown. Parish Council. During his chairmanship, Sacred Heart Cathedral celebrated its centenary. Member of the Planning Committee for the proposed Visit to Siierra Leone of Pope John Paul II. In 1992 he was appointed member of the planning committee to make arrangements for the proposed visit to Sierra Leone of His Holiness Pope John Paull II. But unfortunately that proposed visit was cancelled as it was feared for the safety of His Holiness as the vicious rebel war was then going on in Sierra Leone and the Revolutionary United Front (RUF) rebels then were devastating the country, committing serious atrocities and they seemed almost invincible. In 1987 he was made a Corporate Member of the International Professional Security Association of Britain. His hobbies were classical music, especially works by Mozart and Haydn, reading history, photography and fidgeting with engines of cars as well as domestic machines. He was also a handyman. vi) The Creoles (Krios) of Sierra Leone. Ezekiel was more or less a jack-of-all trades. He was restless both at home and when he was working. He therefore tended to be impatient with others. He migrated to the United States of America in August 1997 during the height of the civil war in Sierra Leone and immediately after the RUF rebels entered Freetown for the first time. He later became a naturalized American citizen. He will be missed by all who love him.